Carpet damaged ? 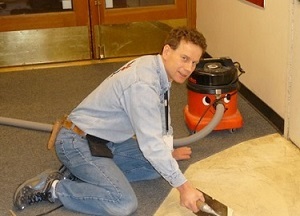 Get a Richmond carpet repair service right away! The idea of placing your feet on a cold tiled floor isn’t very appealing. We at Curly’s carpet repair understand that, especially since we know how great a warm, soft carpet feels. That’s why carpet damage shouldn’t simply be swept under the rug, especially when your Richmond carpet repair team is only a phone call away. or carpet burns from cigarettes, pet reptile’s warming lamps, heating lamps etc. If this is the case, don’t stress yourself hunting down a new cheap carpet, our service is the best, fastest and most affordable carpeting solution you can bank on. And we can repair all types of carpets including berber carpets. Owner, Pablo Schroeder, has 30 years of experience serving the Richmond area, working with both residential and business customers. He has earned a reputation for meticulous attention to detail and guaranteed quality work.